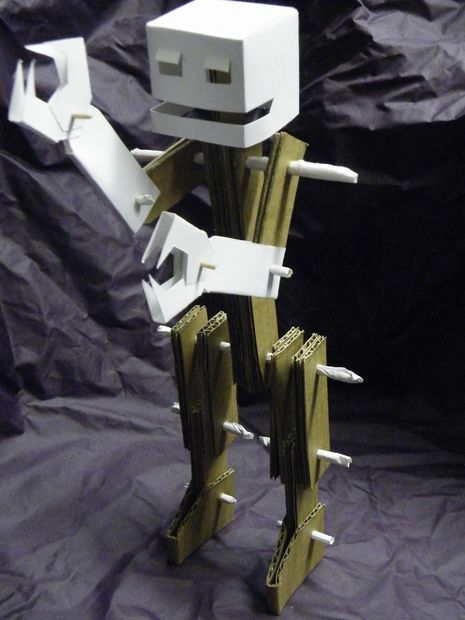 Brittany and I finished our cardboard robot last week. 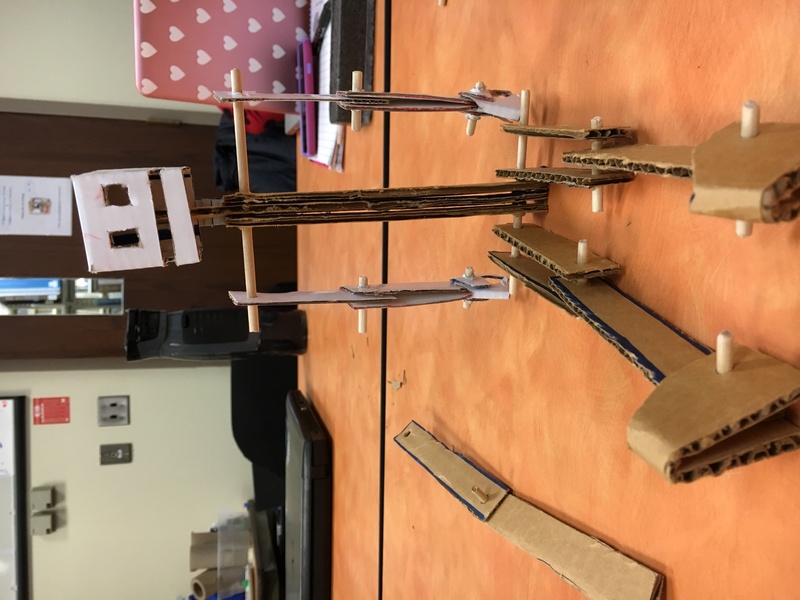 When we reached the point that everything on the robot was assembled except the head we realized that we had a issue with the design. Our robot could sit (kinda) and he could only stand occasionally when positioned at just the right angle and not for very long. 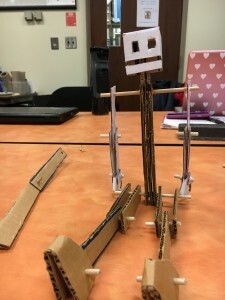 Brittany and I decided to work together to create a posable robot made out of only cardboard and wooden dowels.